Your VIP Bottle Package comes with a specified number of bottles and admission tickets. You may distribute your admission tickets to guests in your group prior to the event or hold all tickets and have your guests arrive at the event at the same time. All attendees must have a ticket; under no circumstance will anyone be admitted without a ticket. As a VIP ticket holder you may use the VIP Admission line, if available, to enter the event. 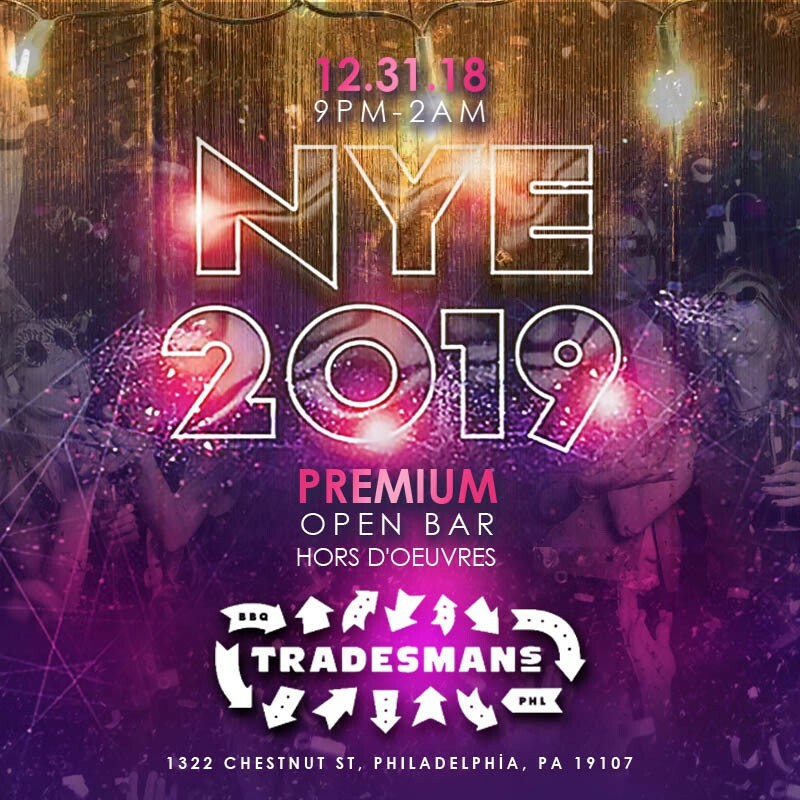 Make this NYE legendary at Tradesman’s, Philly’s favorite party hub in Center City. 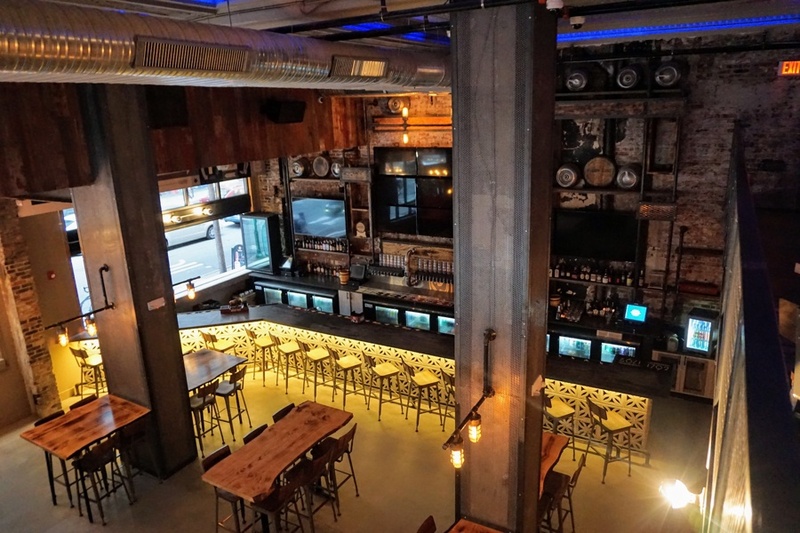 Revelers from across Philadelphia will gather at this contemporary factory-inspired venue, featuring bold industrial aesthetics and an awe-inspiring beer and whiskey list. New Year’s Eve at Tradesman’s promises the ultimate event to start your year off right. Drink to your heart’s content with a five-hour premium open bar. Catch a buzz with the complimentary party favors, then enjoy the delicious early evening passed hors d’oeuvres. A live DJ spins your favorite club and dance tunes, all leading up to the live midnight countdown. Looking for the royal treatment in this historic venue? 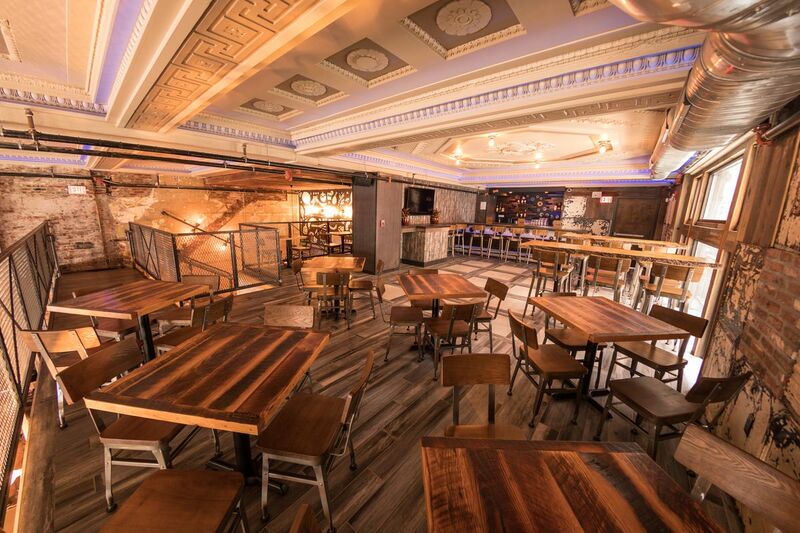 Choose one of our VIP packages that include bottle service, mezzanine access, access to the exclusive VIP-only mezzanine bar, and reserved seating. Tradesman’s takes its name from its historic building, which used to be the Tradesman’s National Bank. 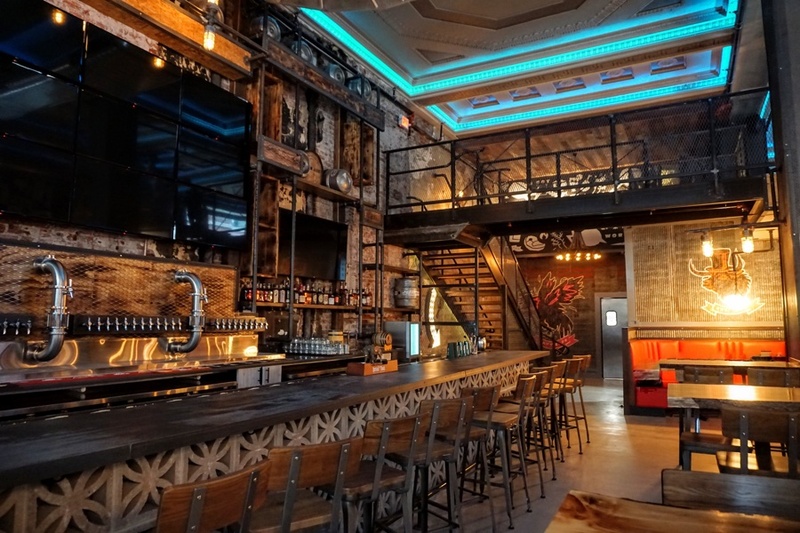 The venue has kept its original 23-foot vaulted ceiling and steel columns, revamped with electric blue neon lights and a state-of-the-art sound and lighting system. 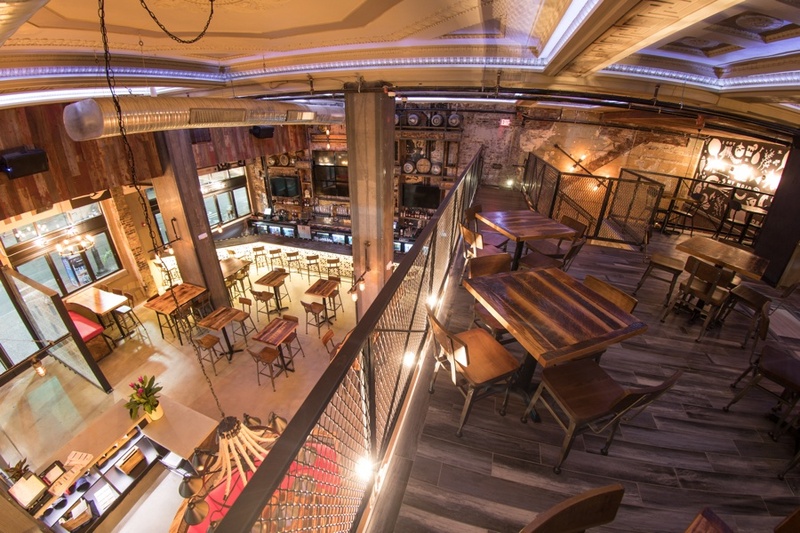 The exposed brick, wire fences, polished wood, and sweeping mezzanine creates the atmosphere of a trendy warehouse party, combined with the sophistication of an upscale cocktail bar. 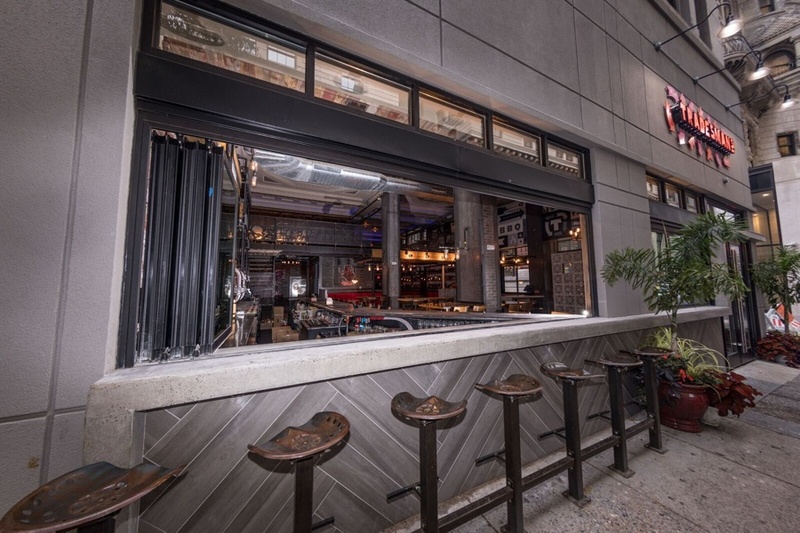 With its 34 beer taps and stellar location on Chestnut Street, Tradesman’s offers the perfect party to celebrate the most exciting night of the year. However you want to celebrate a new year – or forget the past year – do it in style at Tradesman’s legendary NYE bash.